Join us on Mondays for an Introduction to Permaculture Farm Tour of The Kul Kul Farm near the Green School, Bali. 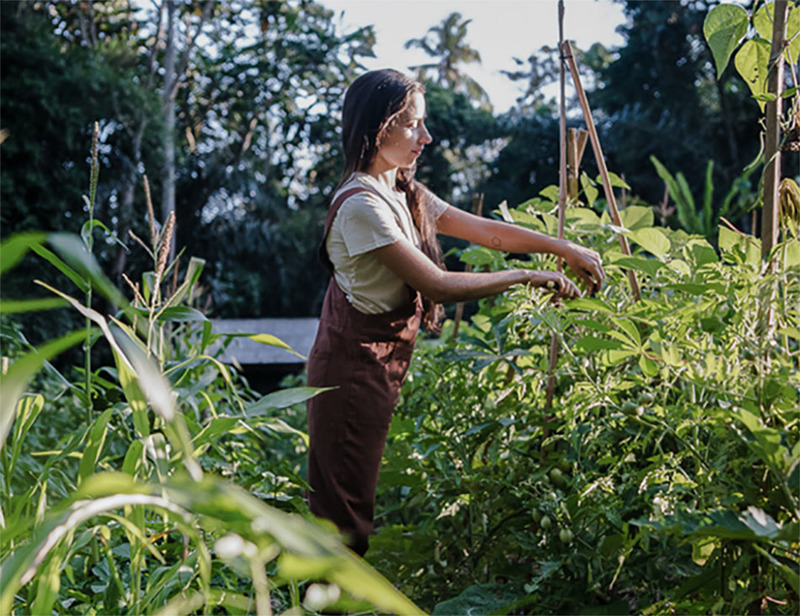 Learn how we’re using sustainable farming & living practices and permaculture design principles to grow an abundant and diverse, education & production organic farm in Bali. This farm tour is suitable for everyone. Kids, farmers, bloggers, travellers and corporate executives are all welcome. We promise you will leave inspired, having met people passionate about organic food, sustainable living and nature eduction. A delicious, organic, off-the-farm, vegan lunch will be served at the end of the tour. All our meals are inspired by Bali. Cannot make our Monday tour? Join a workshop instead. Would you like to visit the Green School before your Farm Tour? Green School Tours are available from 9am – 10am. Book Here.